Blog » Top Stories » BOOK NEWS: a book from Elton John, prize longlists, the Emerging Writers’ Festival, and more! BOOK NEWS: a book from Elton John, prize longlists, the Emerging Writers’ Festival, and more! It’s been a bit of a quiet one for Australian book news this week, but with the Stella Prize winner being announced next Tuesday, I’m sure this is nothing but the calm before the storm. 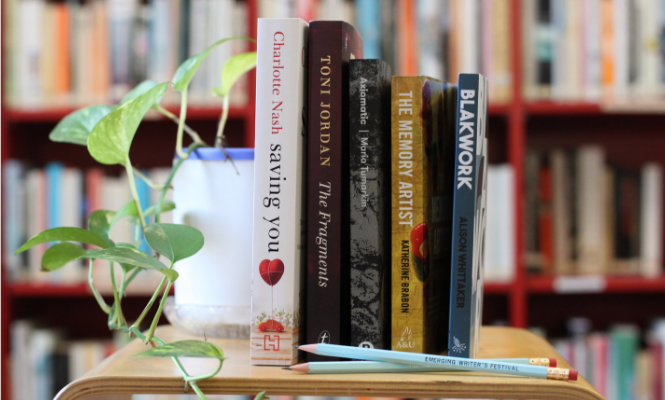 The 2019 longlist for the Desmond Elliott Prize, a UK-based award honouring the very best in debut fiction, has also just been announced. Past nominees for this prize include authors such as Gail Honeyman (Eleanor Oliphant is Completely Fine), Sarah Perry (The Essex Serpent), and Sally Rooney (Conversations With Friends), so it’s safe to say that any author appearing on this list is one to watch. The Emerging Writer’s Festival is gearing up for another fantastic event later this year. EWF is the largest gathering of new writers in Australia, an event that unites over 70 other artists across two days of events including panels, discussions, workshops and networking sessions. The ambassadors for this year’s festival have been announced – appearing this year are Katherine Brabon (The Memory Artist), Toni Jordan (The Fragments), Charlotte Nash (Saving You), Maria Tumarkin (Axiomatic) and Alison Whittaker (Blakwork). EWF takes place at the National Writers’ Conference, which will be held at the State Library of Victoria from Saturday 22 to Sunday 23 June, with a full program due to be launched on Wednesday 15 May. Find out more here. Booktopia’s resident fiction expert, Ben Hunter, reviewed Lanny, a gleeful and enchantingly dark novel from Max Porter. Ben had nothing but high praise for this book: “It oozes with darkness and revels in language – the perfect book for lovers of Lincoln in the Bardo.” Read Ben’s review here. Felicity McLean’s debut novel The Van Apfel Girls Are Gone is also a stunning read, and I reviewed it earlier this week. “Part domestic thriller and part Australian Gothic drama, The Van Apfel Girls Are Gone is a dreamy and evocative story that is as captivating on the last page as it is on the first.” Read my review here. At long last, Sir Elton John has revealed the title and cover of his upcoming autobiography. Titled Me, this book is all set to be the music memoir of the decade – keep your eye out for it this October. The winner of the Stella Prize is announced on the 9th of April (that’s next Tuesday folks!) – if you need a refresher on all of the shortlisted books, take a look at them here. We have SIGNED copies of Amie Kaufman and Jay Kristoff’s upcoming YA blockbuster Aurora Rising – stock is extremely limited, so move fast! That’s it for book news this week people – stay tuned for more next Wednesday!